Note: I’ve fixed the formatting inside this table over and over again, week after week but it bunches back up every time I come back to it. Arrrgggg…Gremlins? I guess I’m going to have to create a new template. Mom: What do you think of my new Kindle? Kid: I think it’s pretty useless.Mom: How so? I like using it to read.Kid: Yeah but where’s the camera? Q: What do you call an eReader virus? 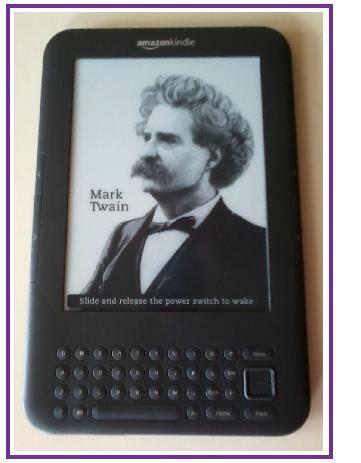 Yo mamma is so stupid she bought a repair eBook to fix her Kindle. Kindle Service: Have you tried turning a light on? .Kindle Owner: But the Kindle doesn’t seem to have a light.Kindle Service: Next question. Q: Why does Ray Bradbury hate the Kindle? A: Publishers want him to edit the temperature in Fahrenheit 451. Email to Kindle Help: Are Self-Help Books available in Kindle format? wouldn’t that defeat the purpose? Kindle #1: What did your owner think of the Joke ebook she downloaded? Kindle #2: She never finished it? Kindel #2: It cracked me up. Q: How many publishers does it take to publish an ebook for Kindle? A: Three. One to do the publishing and two to hold the author down. Q: How many authors does it take to self-publish an ebook for Kindle? 1 author to write, publish, and tweet about it. 99 authors to Retweet it. I wish I could cite individual jokes but they came from a variety of places often without a source listed, and most were altered in some way. Some were rewritten from the Kindle boards and some are adapted from well known generic jokes. The homepage sections include Featured Author, Customer’s Top Rated Indie Books, Indie Popular New Releases, and Recommended for you. The sidebar provides the option of searching by the most popular genres. I explored the Kindle Indie Bookstore and was impressed and dismayed. 🙂 I liked the sections and most of the highly recommended books were only $.99 and offer free sample chapters. I ordered samples of a few I was curious about. I found the store a useful tool for sifting through the thousands of self-published ebooks in the Kindle store. I searched both Amazon and the Kindle Store browsers but failed to find Kindle Indie Books store. Search phrases including, Kindle Indie Books, Kindle Indie Bookstore, and Indie Bookstore all failed to bring me to the store. 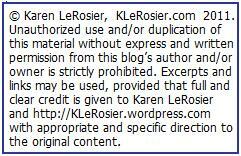 In fact the only way I could find it was with the above web page address or links in other blogs. Amazon’s Kindle Editors listed their for top 10 Favorite Kindle Book Picks for 2011 so far (released the first six months of 2011.) Half of the books were written by debut Authors. Congratulations. In this Korean bestseller, she tells the story of a mother–and her family’s search for her after she goes missing–in four richly imagined voices: her daughter’s, her oldest son’s, her husband’s, and finally her own. The Art and Science of remembering Everything. Captivated by competitors’ secrets, science journalist Joshua Foer participates in the U.S. Memory Championship and tells the tale. Every day Christine wakes up not knowing where she is. Her memories disappear every time she falls asleep, and her husband Ben is a stranger to her. By the end of World War II, Silvana is a ghost of the wife Janusz once had. She and their seven-year-old son travel from Poland to England to reunite their family, separated for six years. Tina Fey’s debut chronicles the differences between male and female comedy writers, her cruise-ship honeymoon, and advice about breastfeeding, getting to the heart of why this charismatic comedienne remains universally adored. This novel includes Shakespeare’s lost King Arthur play in its five-act entirety and explores the tension between storytelling and truth-telling, the thirst for originality in all our lives, and the act of literary myth-making. Gabrielle Hamilton’s debut book tells her tale of her journey as a chef or “The Inadvertent Education of a Reluctant Chef. Love, terror, and an American Family in Hitler’s Berlin .William E. Dodd becomes America’s first ambassador to Hitler’s Germany in 1933. In a post war Balkan country a young missionary doctor arrives on a mission of mercy at an orphanage by the sea where she searches for stories of her grandfather’s life.